He drew up a whole plan of how he wanted his pizza to look – he was very particular about which parts needed to be pepperoni, sausage, or even mini pizzas! 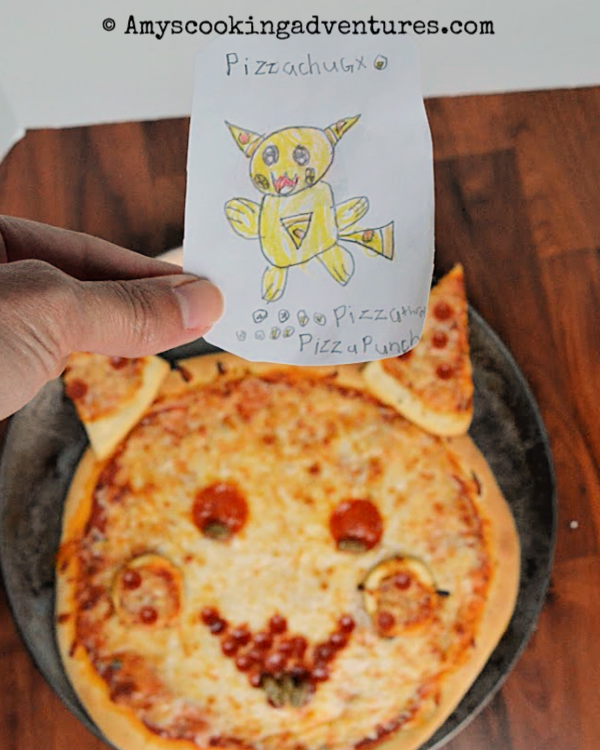 Then, while the pizza was baking, he even made a couple Pizza-chu Pokémon cards to go along with the meal! Adorable! Sprinkle a pizza pan with cornmeal (alternately prepare a pizza peel to transfer pizza to hot baking stone). Remove a small amount of dough from the large ball. Form two bits into mini pizzas for Pikachu’s cheeks. 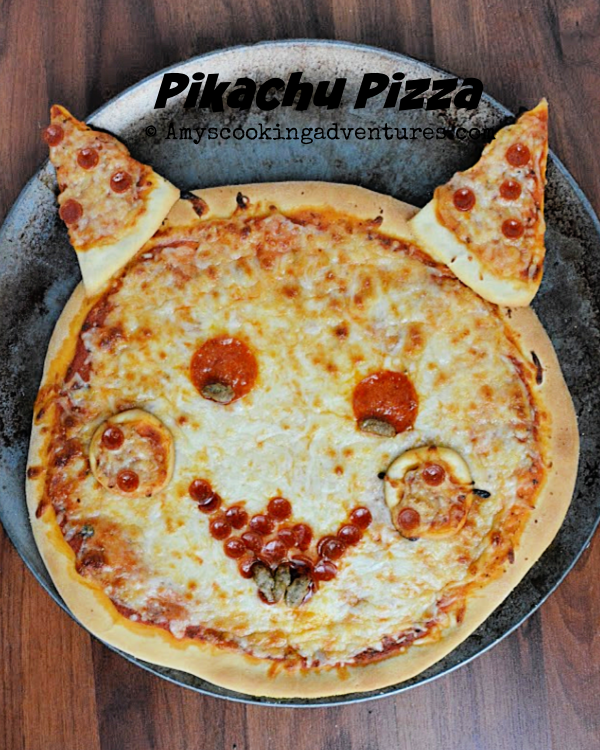 Make a larger mini pizza that will be sliced (after baking) for Pikachu’s ears. Roll the remaining dough thin and add the sauce and mozzarella (doing the same for the mini pizzas). 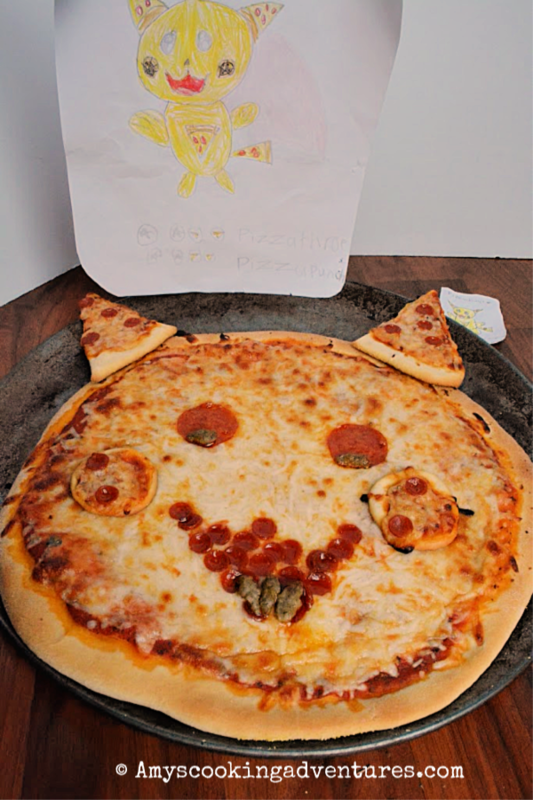 Arrange pepperoni and sausage to create Pikachu’s face. Here's what everyone else is cooking up today! THAT is a cute pizza! 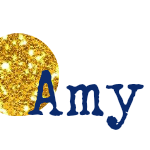 I couldn't wait to see it when I saw your title.